OSCE Chair welcomes the constructive meeting between President of Azerbaijan and Prime Minister of Armenia under auspices of OSCE Minsk Group Co-Chairs, AzVision.az reports citing a message from OSCE. OSCE Chairperson-in-Office Slovak Foreign and European Affairs Minister Miroslav Lajčák yesterday met in Bratislava with Minsk Group Co-Chair Andrew Schofer, of the United States of America, acting also on behalf of Minsk Group Co-Chairs Igor Popov of the Russian Federation and Stéphane Visconti of France, and Personal Representative of the Chairperson-in-Office Andrzej Kasprzyk, reads the message. 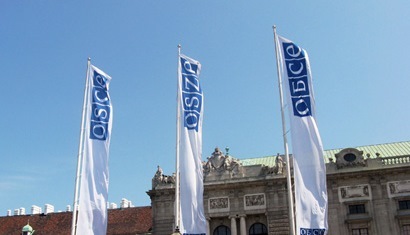 “We remain positive about, and fully supportive of, this process and the leaders’ commitment to strengthening the ceasefire and to undertaking measures in the humanitarian field,” Lajčák said.